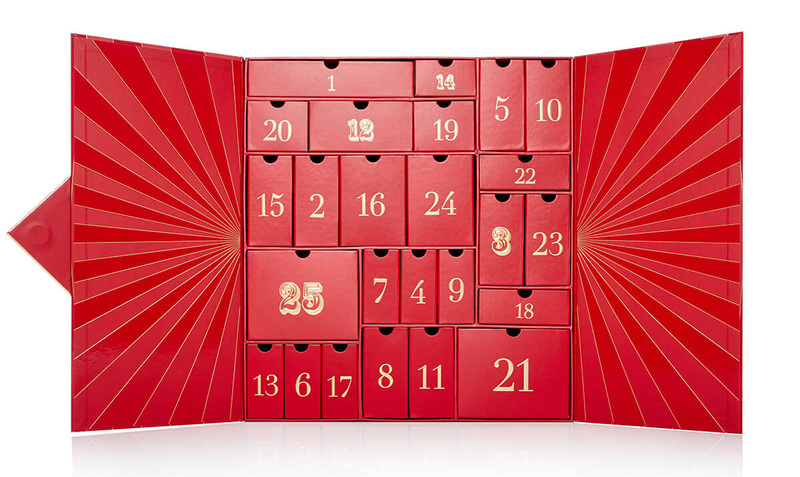 The time has come to get your hands on one of this season’s hottest properties – the beauty advent calendar. Available now but sure to sell out quickly, Lookfantastic’s offering brings 25 fab beauty treats featuring products from some of the industry’s leading brands. Daily treats include skincare, tanning, haircare, tools and cosmetics worth a total of more than £300 and packaged in a gorgeous festive red cabinet with 25 individual drawers. 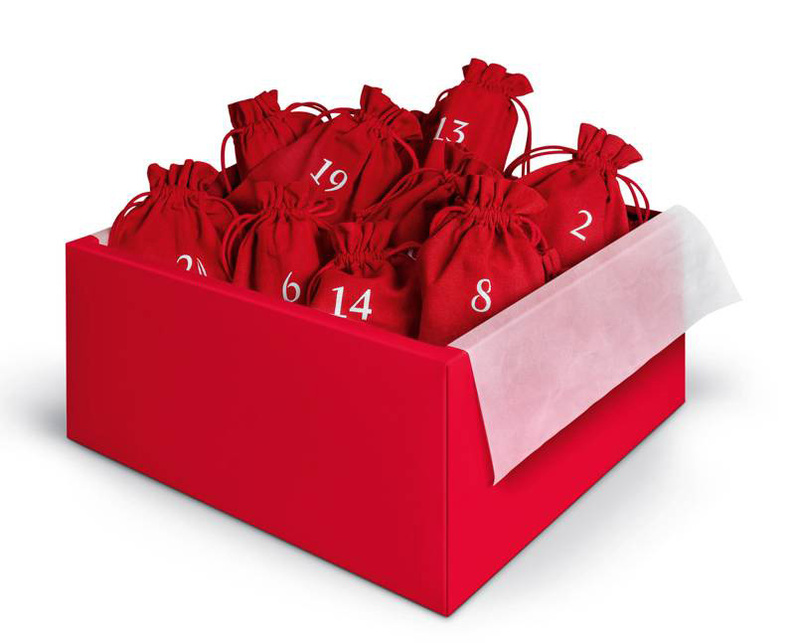 This year the leading beauty brand has created its first ever beauty advent calendar, and it looks sure to be a massive hit, and a very quick sell out. 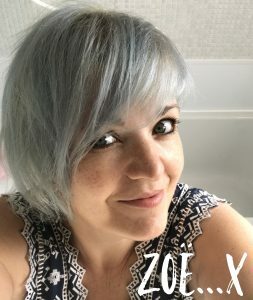 Featuring 25 gorgeous treats – including 17 full size products from brands including NARS, bareMinerals and HUDA Beauty, the contents are worth more than £300. Subscribers can buy pre-order it for £75 before it goes on sale at 7pm on October 15. Net-a-Porter’s 2018 edition looks so cool you’ll want to keep it on display long into the new year, thanks to its chic design. But it also contains 25 scaled down versions of leading products from brands such as Marc Jacobs, Sunday Riley, Charlotte Tilbury and Le Labo. 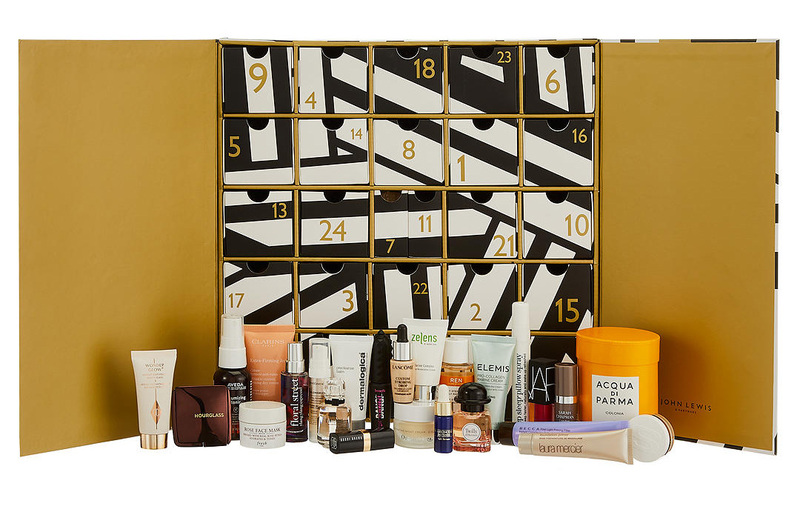 Also taking its maiden foray into the world of beauty advent calendars is Space NK, which has launched this luxury calendar featuring a host of top names. Each of the 25 drawers feature beauty favourites from the likes of Eve Lom, Darphin, Drunk Elephant and Ouai. Another new arrival on the scene, luxury brand Fortnum & Mason has decided to enter the beauty advent calendar ranks with 24 special gifts housed in a an exclusively designed box. 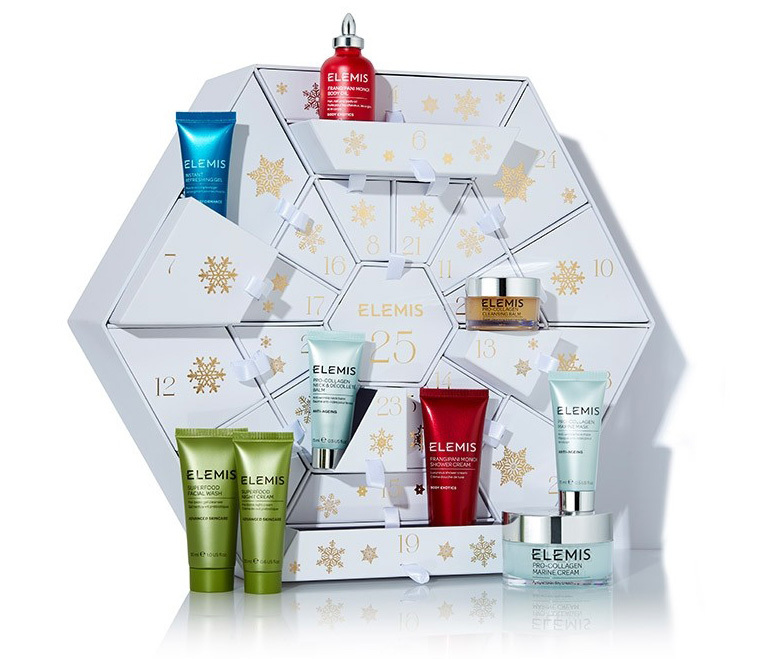 It contains nine full size products and 15 luxury samples, altogether worth a whopping £625. Brands featured include Aromatherapy Associates, Guerlain, Aurelia, Chantecaille and Iconic London. A little bit different to the rest of this year’s offerings, Dr Hauschka’s Joy of Advent features 24 organic cotton pouches featuring a selection of small products. Treats include Purifying Bath Essence, Revitalising Day Cream, Reviving Hand Cream and Blackthorn Toning Body. 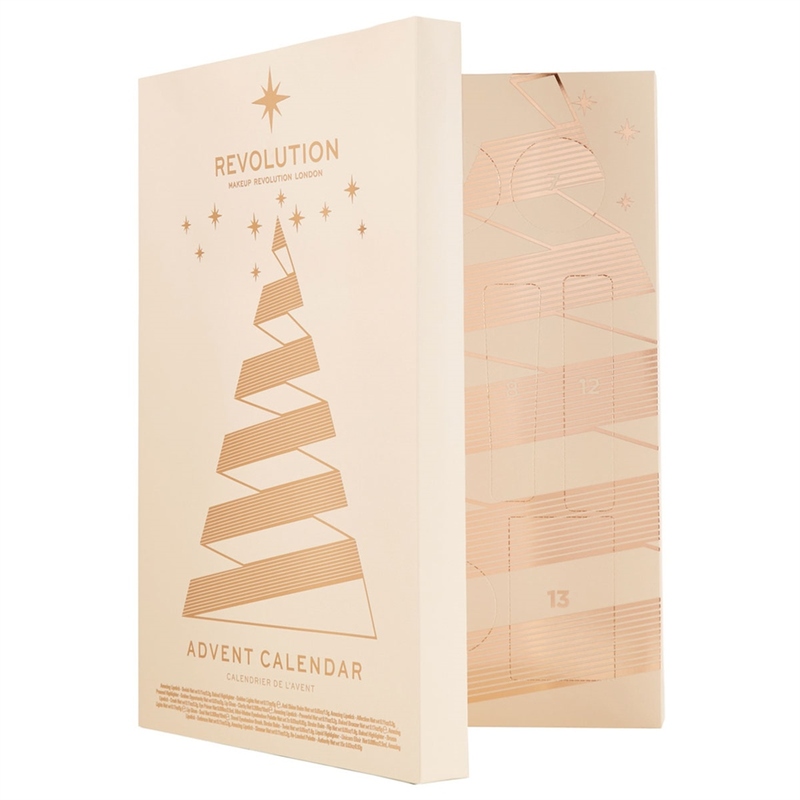 One of last year’s most popular sellers, Decleor has done it again with its Joy of Glow advent calendar for 2018. Featuring 24 products all designed to get your glow on, you can enjoy some of the brand’s favourite and most popular skin elixirs, balms, creams and serums. The daddy of all calendars year on year, and the one everyone wants – the coveted Jo Malone 2018 calendar is available now from Harrods but will be available nationwide on November 1 – and will no doubt sell out almost immediately. This year’s offering features 24 products including new festive treats like the Frosted Cherry & Clove Candle along with favourites like Lime Basil & Mandarin Cologne. 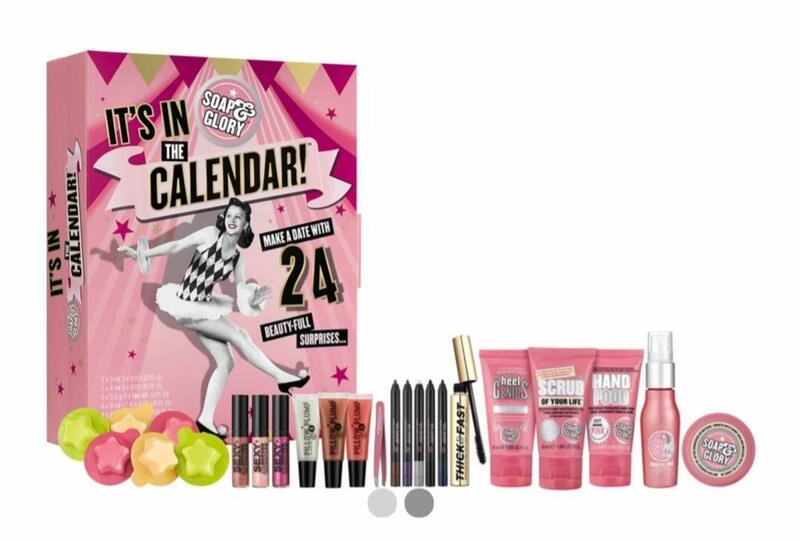 Charlotte’s Beauty Universe calendar features 12 delectable full size and mini treats from the brand’s makeup and skincare ranges. Products include mini Full Fat Lashes, mini Rock n Kohl, full size Matte Revolution, travel size Skin Clay Mask and travel size Supermodel Body. This online exclusive is said to be very limited, and is expected to sell out very quick when it goes on sale (due any day). Enjoy 25 of the brand’s finest skincare products including Pro Collagen Marine Cream 50ml, Pro Radiance Cream Cleanser 30ml, Frangipani Monoi Body Cream 50ml and Pro Radiance Illuminating Flash Balm 15ml. Skincare lovers and makeup fanatics will love this year’s offering from John Lewis, which is packed with gorgeous full size and luxury trial size treats. There are 25 drawers housing all manner of products from top brands including NARS, Benefit, Clarins, REN, Elemis, Aveda, Sisley and Givenchy. 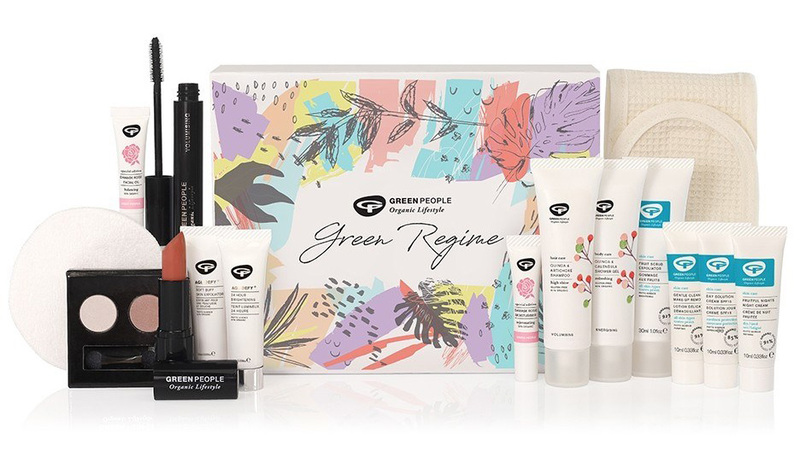 The leading organic brand is another newcomer to the advent calendar scene this year, offering £125 worth of its hero products in its Green Regime calendar. 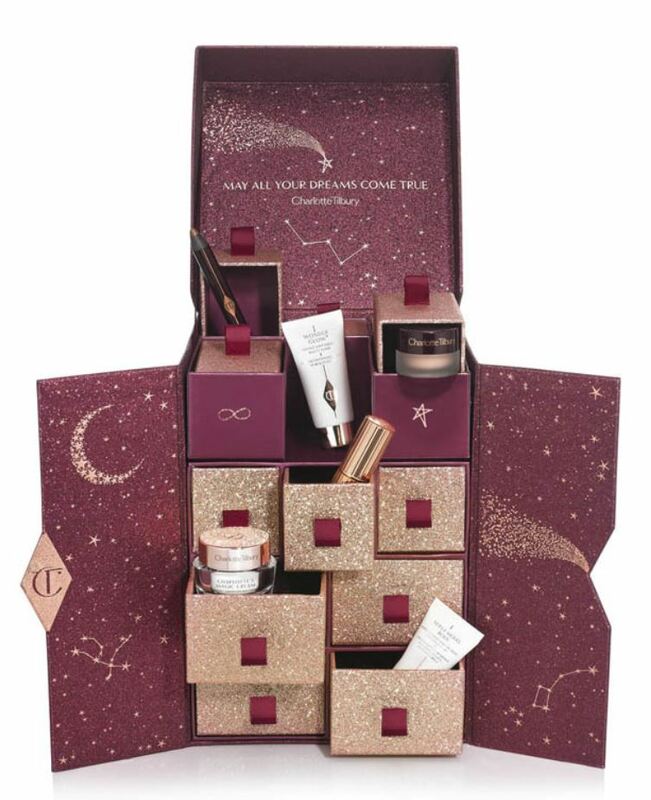 Some 15 treats are hidden within 12 drawers – with three full size products – and items include skincare and makeup products including Fruitful Nights Night Cream 10ml, a cotton head bandeau, Quinoa & Calendula shower gel 30ml and Velvet Matte Lipstick in shade Damask Rose. There’s no chance of forgetting it’s Christmas with Soap & Glory’s It’s in the Calendar offering for 2018. As its name suggests, The 12 Days of Liz Earle calendar features 12 magical treats from the brand’s skincare, bodycare and haircare collections. Fans or newcomers to the brand can enjoy 12 days of products which include Orange Flower Hand Repair 50ml, Cleanse & Polish Hot Cloth Cleanser 30ml with pure cotton cloth, Skin Tonic 50ml and Soothing Eye Lotion 50ml. 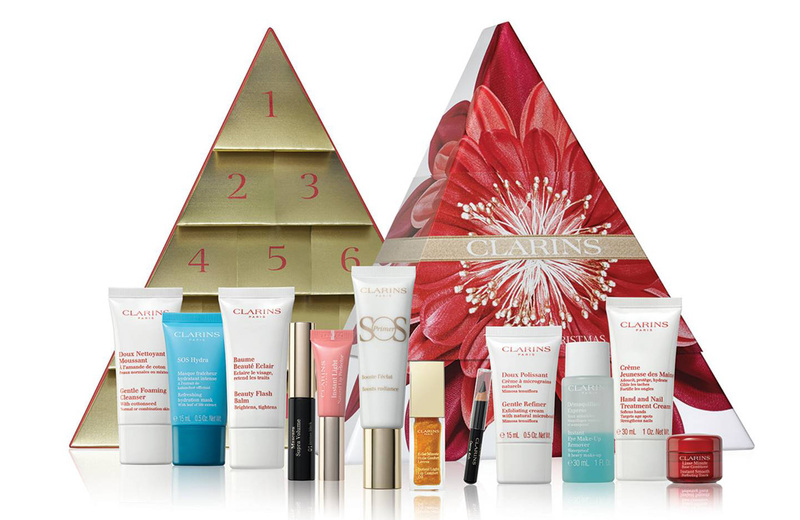 The 12 Days of Christmas advent calendar features 12 of Clarins’ leading hero products and includes two full size products in collection worth more than £125. Treats include full size SOS Primer 00 Universal Light and full size Instant Light Lip Comfort Oil Honey Glam, along with SOS Hydra Mask 15ml, Hand and Nail Treatment 30ml and Kohl Black Crayon 0.25g. 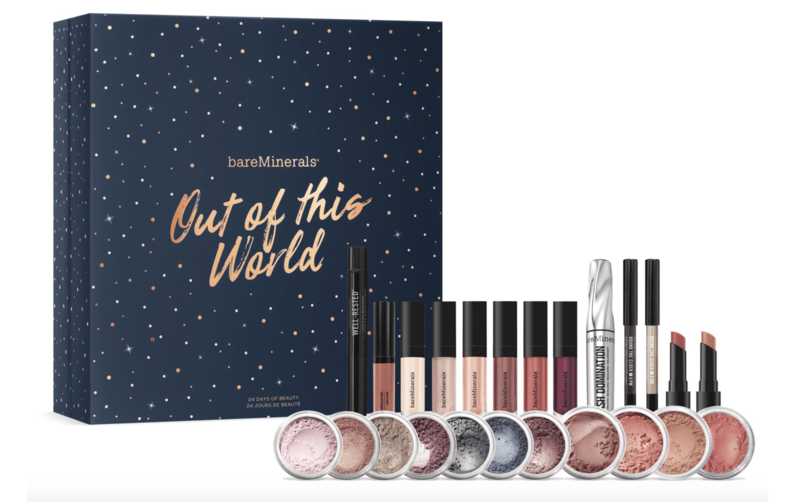 Makeup fans can enjoy 24 festive treats with bareMinerals’ Out of This World calendar. Packed with the brand’s bestsellers and fan favourites, it offers a selection of products including loose eyeshadows, lip glosses, eyeliners, lipsticks and blushers. Give your makeup collection a makeover of its own with this cute offering from Makeup Revolution. Count down to the big day with a selection of makeup surprises for face, eyes and lips with brand favourites including lip glosses, highlighters and the bestselling Re-loaded Eyeshadow Palette. The renowned French brand has two advent beauties this Christmas, with its Classic calendar for £49 and Luxury priced at £89 (pictured). Both feature 24 different products, with the Luxury version covering the more luxurious treats from the brand’s collections. 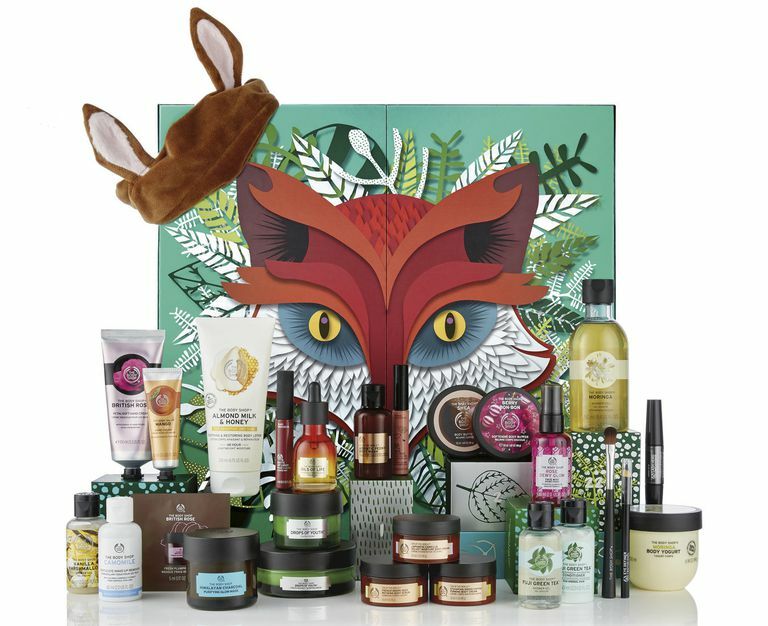 The 25 Days of the Enchanted Ultimate advent calendar (pictured) is the priciest of The Body Shop’s three calendars for 2018, joined by the standard £45 version and the Deluxe edition priced at £65. All three feature a selection of the brand’s leading products with items reflecting the price of the calendars. Perfect for The Body Shop fans of all budgets. Have the most relaxing and pampering time possible this December with Rituals’ The Ritual of Advent calendar. Featuring 24 products from the luxurious brand, you can enjoy hero products including Happy Buddha body cream 70ml, Cool Down shampoo and shower gel 70ml, Namaste cleansing foam 30ml and Ayurveda hand wash 110ml.